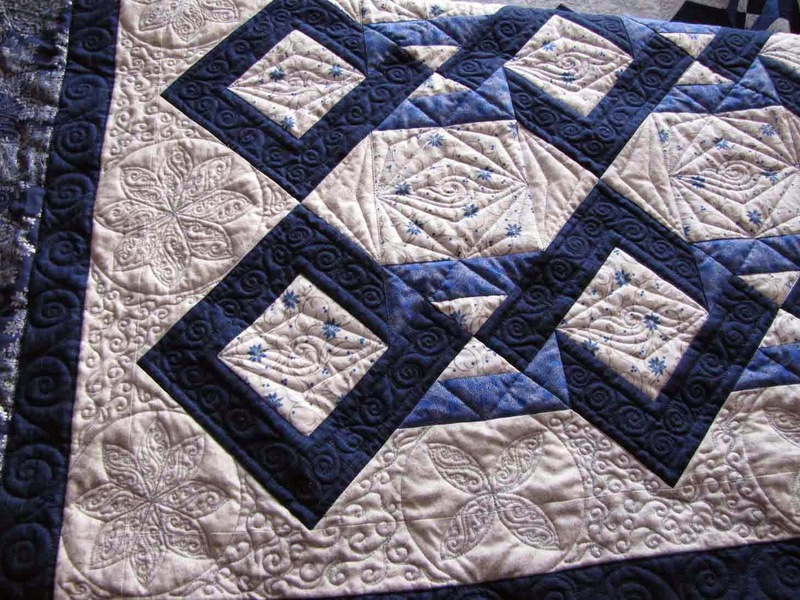 This "winter quilt" is beautifully made by Susanne. 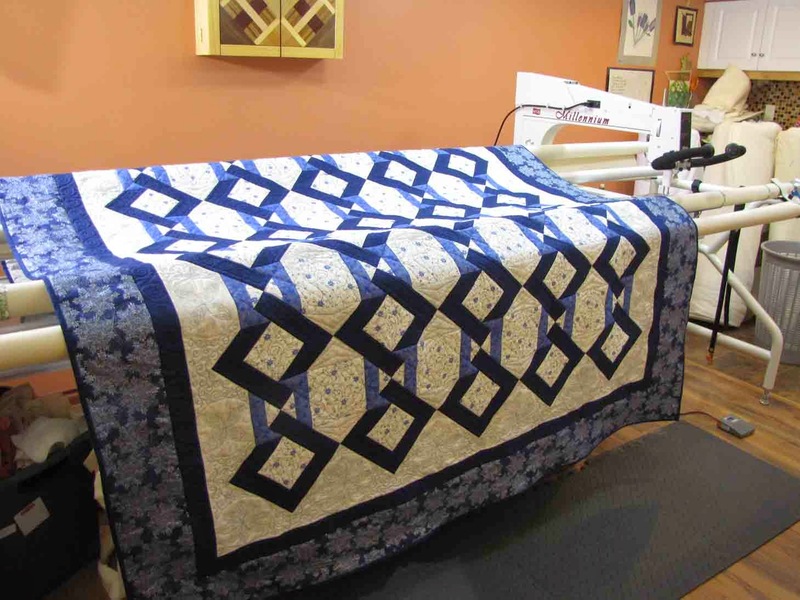 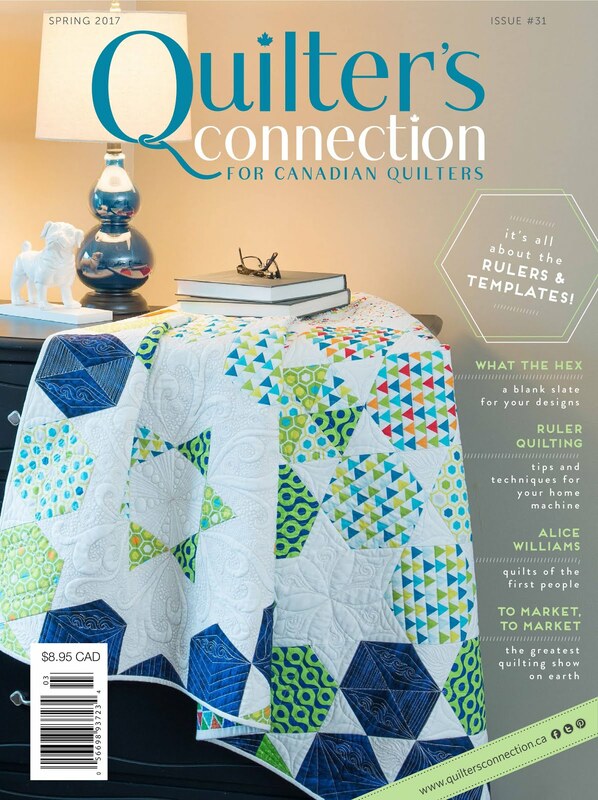 The trick for me is to work out a quilting design that enhances, not overwhelms, the piecing. 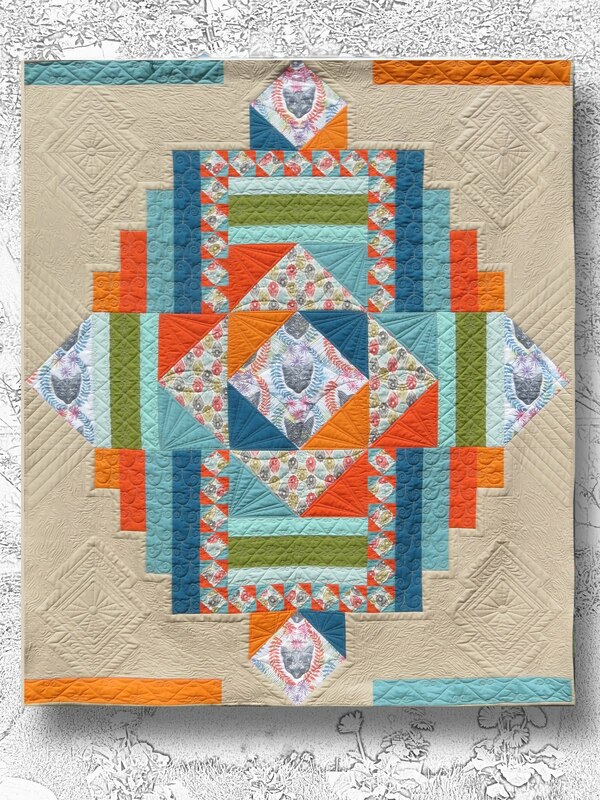 Having lots of "negative space" is fun for a quilter. 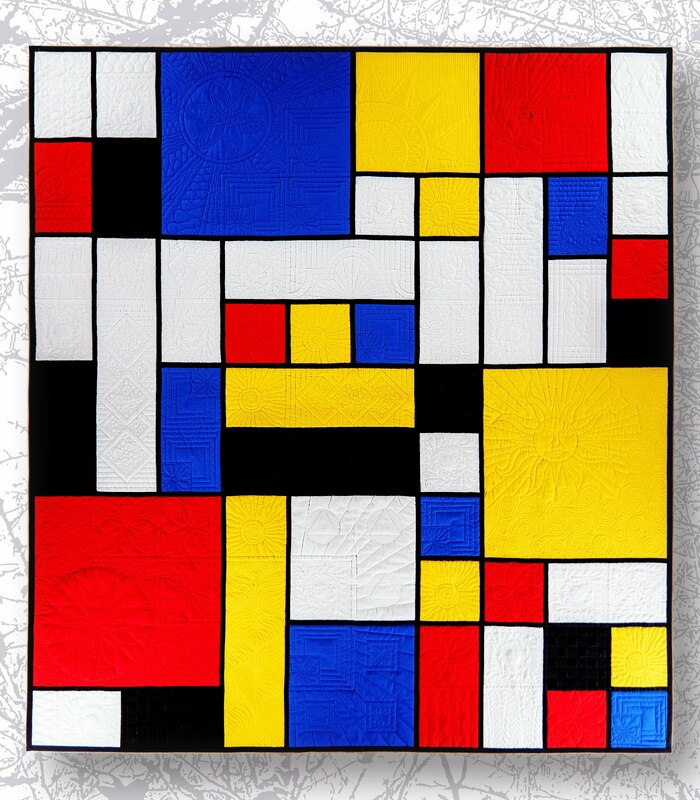 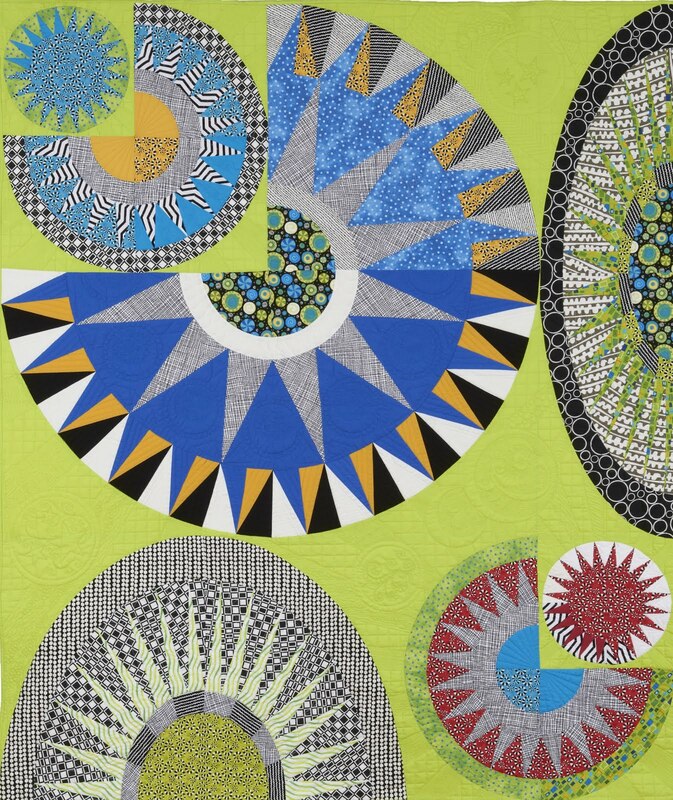 This quilt has great piecing and negative space between the borders and the centre. 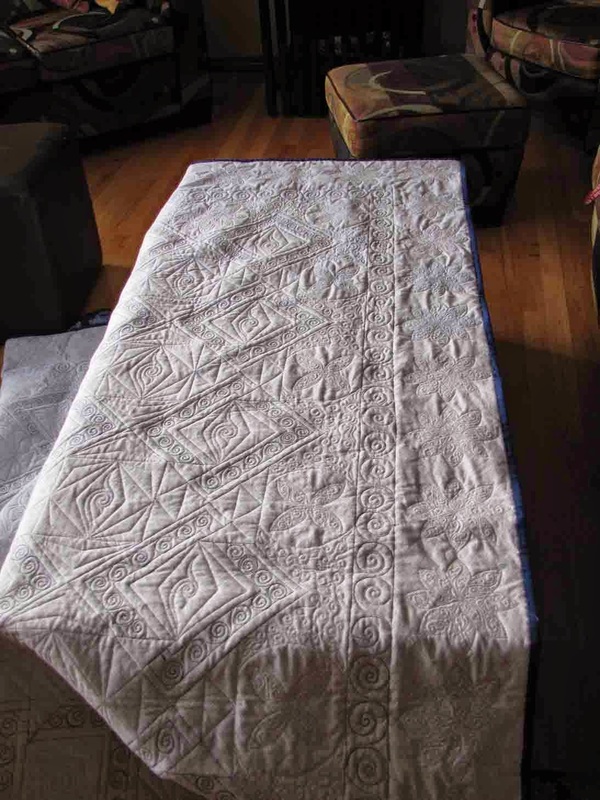 This is the back - sometimes easier to see the quilting.